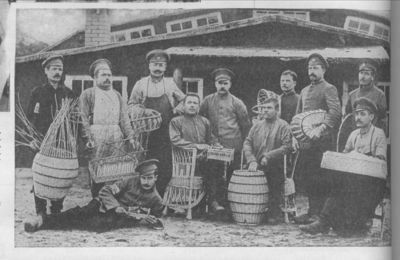 Russian prisoners of war display their basket-making skills outside of their workshop at an unidentified Austrian prison camp. Their handicraft work includes baskets, wicker chairs, and toys. Skilled craftsmen provided materials needed to maintain large prison facilities.